Experience the world renowned Facial Treatment available in Buffalo NY at Holistic Skin Care by Janine! DMK is the only company in the world to utilize the beneficial effects of transfer messenger enzymes. Enzymes are living substances that regulate health and work with certain minerals in the body to form a natural system of antioxidants that fight corrosive free radicals. Properly formulated, they can remove dead protein, toxins and other effluvia from the epidermis using a process called ‘reverse osmosis’. skin, DMK Enzyme Treatments works with the skin. The enzymes strengthen the structural integrity of the skin to create a healthy environment for cells to live and thrive in. Enzyme Therapy exercises facial muscles and works to leave the skin feeling firm. 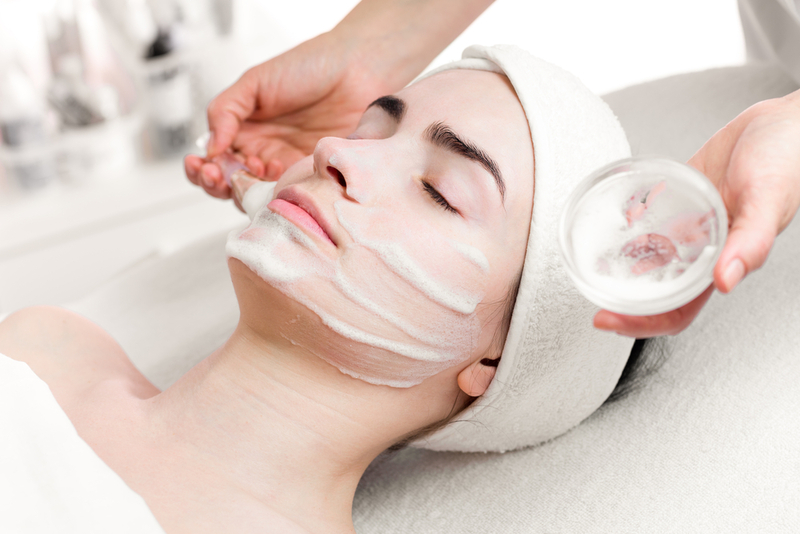 An Initial Enzyme Treatment and Consultation is required before any advanced treatment, peel, or skin revision program. Please call 716-445-5954 to schedule. This enzyme exfoliation works like a dead skin cell muncher designed to remove congested areas of the skin. The action of these enzymes removes cellular debris and build up, leaving the skin softer, clearer and more responsive. DMK’s MUSCLE BANDING Treatment is an age management treatment designed to fight against the decline that causes ageing and restore skin to its optimal health. This treatment is suitable for both men and women who want a highly effective age management treatment that will prevent the signs of ageing from manifesting. It works by physically strengthening the muscles of the face and neck but without the physical effort. The more treatments, the better the results. Just like any physical exercise program, faster results are obtained from regular treatments because of muscle memory. Skin Brightening Treatment is a professional program designed to help regain a brighter, more even and luminous complexion. The number of treatments will depend on the individuals skin condition and desired results. Revitalize thickened, uneven, sun-damaged, sluggish or congested skins with this 6-8 week progressive resurfacing and rebuilding procedure. redness and unsightly capillaries in the skin and provides a vibrant appearance.